All Tall Timbers homes currently listed for sale in Tall Timbers as of 04/24/2019 are shown below. You can change the search criteria at any time by pressing the 'Change Search' button below. If you have any questions or you would like more information about any Tall Timbers homes for sale or other Tall Timbers real estate, please contact us and one of our knowledgeable Tall Timbers REALTORS® would be pleased to assist you. "Truly unique property! Established marina with B & B potential. Over 20 boat slips, three piers, water ramp, marina office, boat shed and so much more! Seawall dates to 2002, new washer & dryer, 3 zone heat. Hardwood floors in much of the house, front and back porches, wood stove...so much to see! Two apartments included in the square footage." "Exceptional home in sought-after, waterfront community. Wonderful floor-plan, excellent storage, large rooms all with huge closets. Family room with wet bar and fireplace, kitchen and all weather-porch open onto large deck. Views from just about every room in home. Spacious, level front yard on waterside of home. Paved driveway offers ample overflow parking for guests. Must see this immaculate home!" 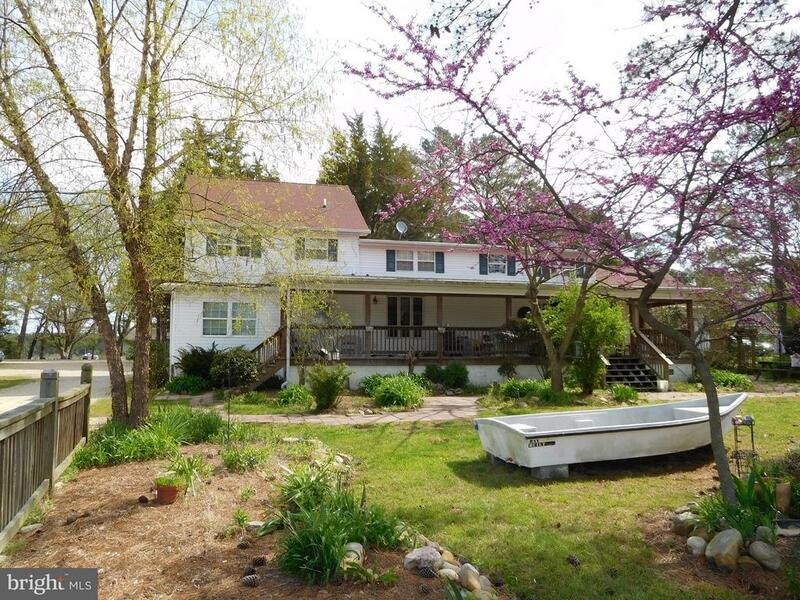 "Our home is located in the unique community of Tall Timbers, and is surrounded by water and fields. Custom built by Paragon Builders, to a design based on Susanka's Not So Big House and the Ten Principles of a Home by Winslow and Silverstein, incorporating concepts such as a sheltering roof, capturing light, and covered porches. Set on one-half acre, the house has a large open-plan living and dining area, plus a sitting/viewing area with floor to ceiling windows and tru-view screens. Also on the first floor are a full bathroom and a den with built-in bookcases and cabinets. 9 ft. ceilings and crown molding thruout, hickory floors. The kitchen features a tongue-in-groove ceiling, hickory cabinets, a deep stainless steel sink, new microwave,a wall oven and warming drawer, all by GE. Ample counter space in soapstone, including a bar with four stools. The living room features a floor to ceiling bluestone fireplace/furnace and a nearby cushioned window seat conceals a wood storage area that can be reached from the outside. Windows thruout house are Anderson energy-efficient Architectual series with overhead transoms. Second floor has three bedrooms and 2 full baths. Master bedroom ensuite bathroom with double shower and glass doors facing the river. Built- in extra-long bunk beds and bookshelves in second bedroom, and a queen murphy bed in the third bedroom.Heated and air-conditioned crawl spacewith concrete floors, buried SMECO lines. Beautiful Pennsylvania bluestone front and back porches, stunning sunsets and river views from river porch and bedroom windows. Also includes a 16x16 shed, a raised planting bed for herbs and tomatoes, gardens with many perennials, grasses and flowering shrubs. 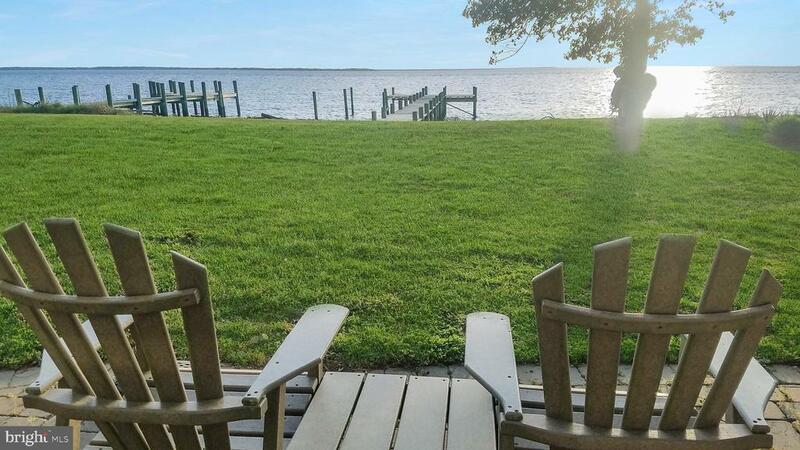 60 ft. pier with built-in benches and a ladder into the water.This is a peaceful, easy to care for home and as if this weren't enough, we have the most wonderful neighbors in the world!" "Breathtakingly Beautiful Waterfront Home in sought after Tall Timbers. This one of a kind, custom home on the Potomac River has an Open Concept Floorplan with Hardwood Floors and Custom Blinds throughout. Marvelous Views from every Anderson Window. The 2,486 sq/ft Main House has 4 Bedrooms, 2 Full Bathrooms and a Communal Loft. Large Bright Kitchen with Stainless Appliances, Corian Countertops, Under-cabinet Lighting and an Island with Plenty of Seating and Storage. Cozy Living Room with Gas Fireplace overlooks an Attractive Dining Room with Custom Triangular Windows and Cathedral Ceilings. Lovely Master Bedroom on the Main Level overlooks the River and has an Ensuite Master Bathroom with a Large Shower, Jetted Tub and Walk-In Closet. Long, Stamped Concrete Driveway leads to an Oversized Detached 2 Car Garage that has a Finished Studio above with an additional 600 sq/ft of finished space for f a future Office, Den, Gym or Game Room. The owner~s goal was to create a socially inviting space that was also low maintenance....and they achieved it. This Wonderful Home was built in 2002 by Riverside Builders on a one (1) acre lot with Western Exposure. Enjoy incredible Sunset Views from the Charming Composite Deck and experience the Sunrise from the Inviting Covered Front Porch. 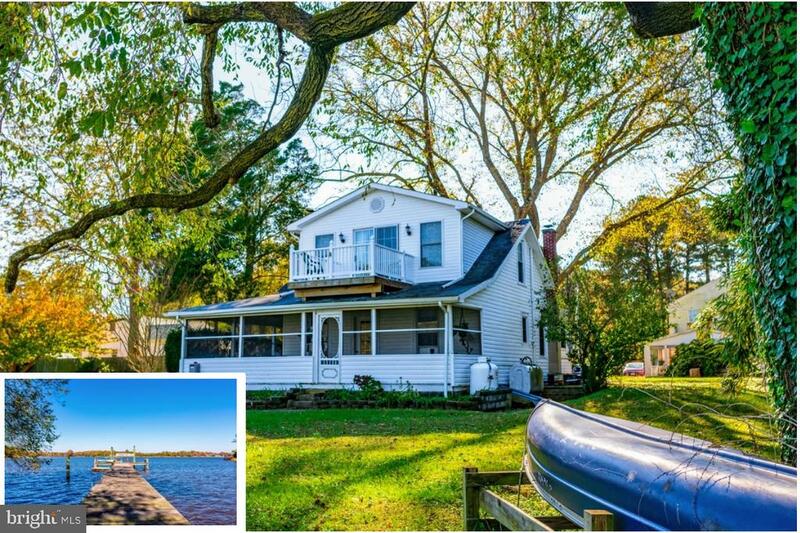 90 foot Private Pier with Electricity, Rip-Rap along the Shoreline and a Grassy Lawn in both the front and back yards of the home. This extraordinary property demonstrates pride in ownership and has been treasured by the original owner." 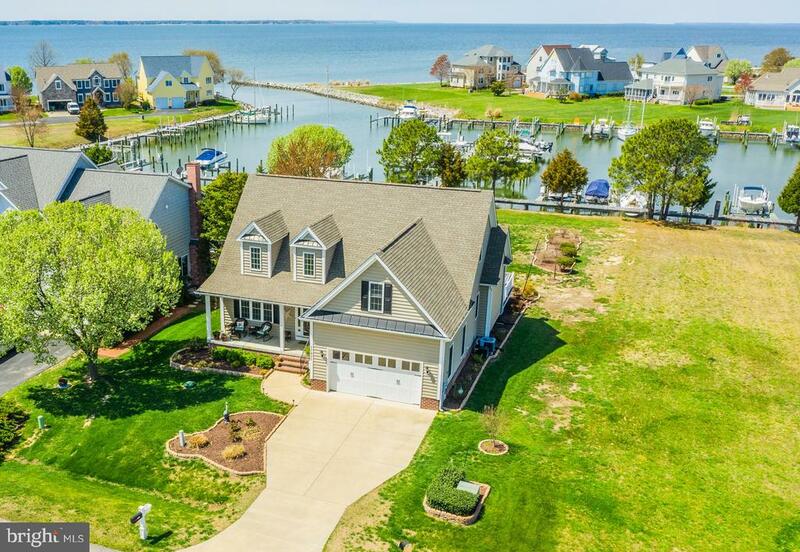 "Gorgeous home located right on the marina with great sunset views out over the Potomac. 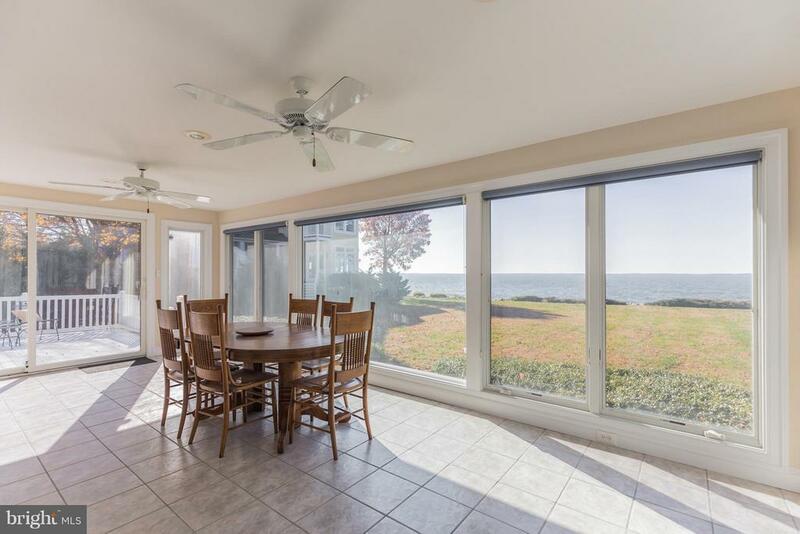 Light filled home has many large windows to take full advantage of the waterfront views. Relax in the hot tub on the spacious back deck with sun shades, looking out past the marina, to the Potomac River and VA. Enter into the family rm w/vaulted ceilings, propane fireplace, & greeted by the great blue heron! Kitchen has a pass thru to the FR, SS appliances, pantry, and breakfast area, & formal DR opens to the FR. All hardwood floors on the lower level. From the main floor MBR, you can walk right out to the deck. Upper level has 3 more BRs and full BA. Laundry is on main level. This unique community offers tennis courts, basketball ct, tot lot, swimming pool, RV parking, and a sandy beach from which you can launch your kayak. And residents have an assigned slip! You can live the life in The Landings at Piney Point." 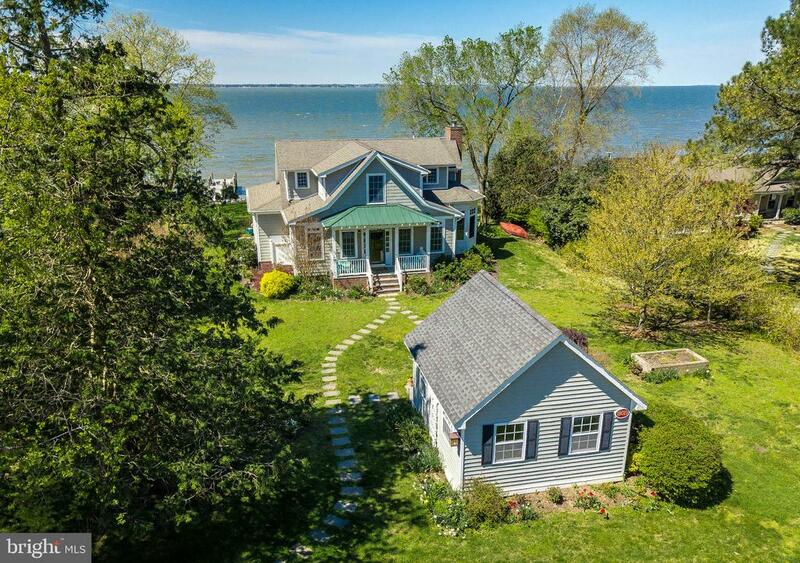 "This stunning St. Mary's waterfront home possesses timeless charm with so much to offer. Gorgeous gardens and lush greenery adorn spacious green yards perfect for any outdoor activity. Protected bulkhead and private pier hold an electric boat lift, and sunning deck. Enjoy a day kayaking or canoeing on the water if you desire, or relax while crabbing and fishing, too. Main home offers traditional floor-plan with foyer, kitchen, dining space and living room in near proximity; optimal for entertaining. Relax on the fully screened porch overlooking the water. Through kitchen is a pantry with an interior entrance to the basement with a large bonus room, den and storage room. Moving to the upstairs, the Master Bedroom maximizes on waterfront views with its own private balcony. Additional two bedrooms are also upstairs. Venturing outside, this home has its very own greenhouse which is dually used as a hot-tub room. Just down the brick walkway is the detached 1 Bed/1Ba income generating guest suite above the garage. This roomy space comes with its own washer & dryer, and has a lovely outdoor deck with water views! Make sure you don't miss seeing this or the oversized two-car garage below. The main home and detached greenhouse both have brand-new roofs. Make sure to view the Seller provided update list in the online documents." "This brand new waterfront has NO HOA, you simply MUST see this beautifuly appointed Carolina style home. Builder has paid attention to detail with rounded corners, expanded baseboard, tile, granite, stainless, soft close drawers & cabinets, so much more! 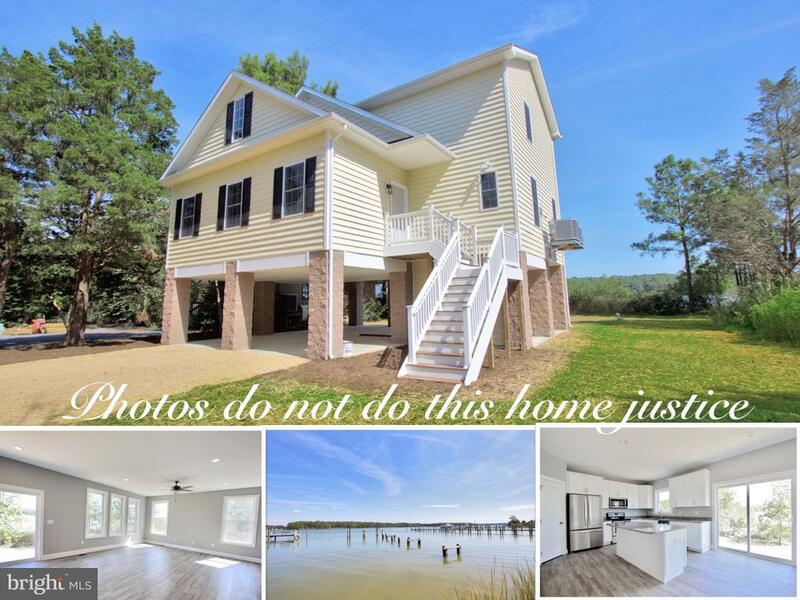 Don't miss your opportunity to own a brand new waterfront home minutes from St. Georges island boat ramp, Ruddy Duck 13.6 miles to PAX!" "1.95 acres of land to sell. home located on property is not livable."